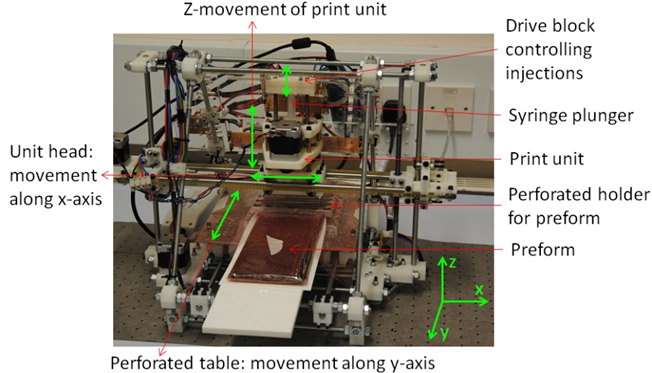 This study explored a new concept of stabilising and consolidating textile preforms for liquid resin infusion (LRI) manufacture of composites. 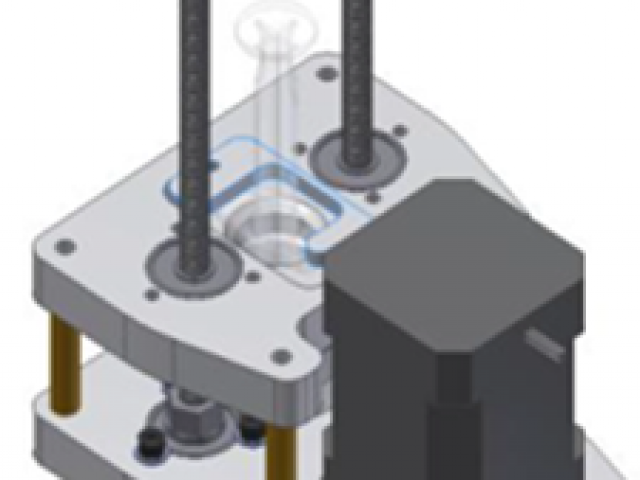 Insufficient consolidation of material in LRI with flexible tooling often leads to dimensional and internal defects compromising the cost advantages of the process. 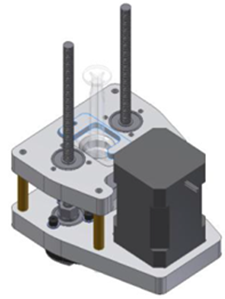 To approach the quality of a rigid mould solution at the simplicity of a flexible mould process, highly-controlled integration of a resin binder was proposed. The method prints liquid resin into the bulk of the textile preform for subsequent consolidation. Effectively, it allowed a stiff skeleton to be built in a compliant preform, securing material for further processing stages. A bespoke print set-up was created to prove the feasibility and efficiency of this concept. 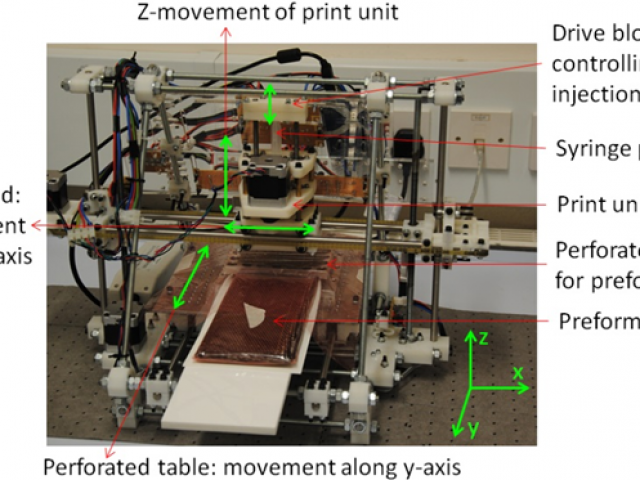 The project explored the mechanisms of local consolidation, internal architectures of consolidated material, the infusibility of the consolidated preforms in various LRI trials, and the optimum print parameters. 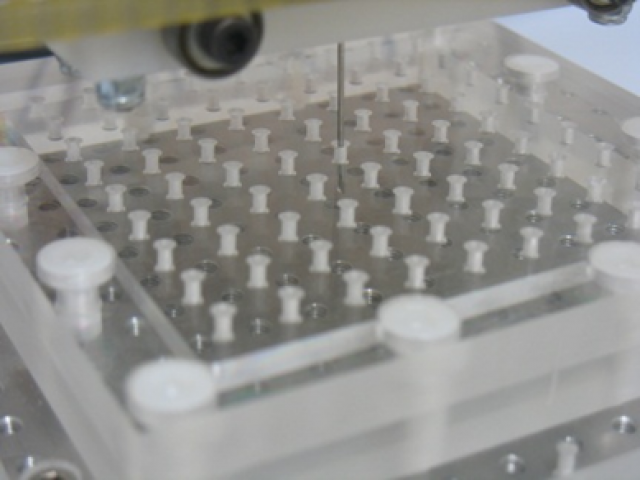 Successful implementation of the concept for multi-ply woven and net-shaped braided preforms was demonstrated.The concept of printing matrices into textile preforms opens avenues for a number of subsequent developments. The feasibility study demonstrated that printed binder can be used to control resin flow during liquid moulding processes. 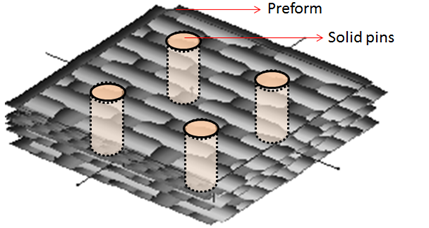 By creating dams and reservoirs in permeable preform the printed skeleton allows directing resin in required directions, preventing race tracking, and achieving a uniform flow front. 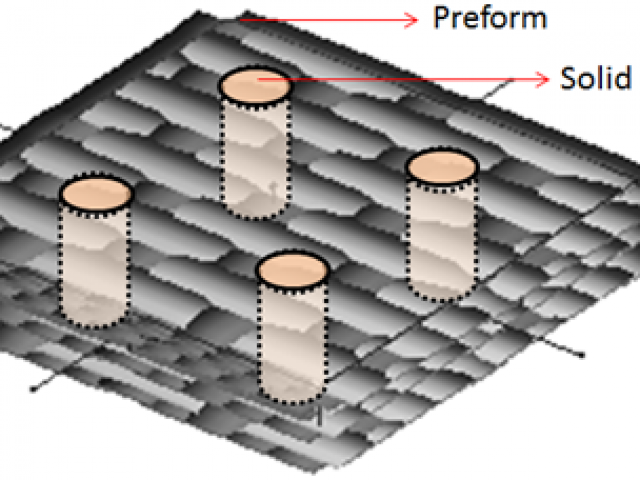 Resin pinning gives the ability to control composite dimensions in critical locations, e.g. corners, junctions, fittings, where tolerance on dimensions is low, or where insufficient consolidation may lead to impregnation defects. The developed printing technology allows incorporating functional and structural (toughening) elements in the composite system and creating multi-resin systems for enhanced composite properties. These topics are being further developed in ongoing research at the University of Bristol and are supported by a collaborative project with Airbus. Funding for further developments has been sought in a follow-up EPSRC grant.